Doctors find letrozole and fertility treatments can be a helpful combination, although it is considered an off-label use of the drug. Every medication carries risks and benefits, so staying informed about current research into each drug is imperative. Originally, letrozole was developed by Novartis Pharmaceutical Corporation and is sold under the name Femara. It is a drug used to treat breast cancer in post-menopausal women. The company itself publishes a safety warning that says using Femara during pregnancy may injure the growing fetus. The safety information also indicates that birth control should be used while taking letrozole and nursing mothers should discuss using the drug with their doctors. Despite the warnings, letrozole continues to be prescribed for women who are experiencing infertility due to ovulation problems. The drug works similarly to Clomid in women who take it for infertility. Often, this is the second line of fertility drugs after Clomid that doctors prescribe before moving onto more invasive treatments. It may concern you that your doctor has prescribed a medication that can lead to adverse side effects on your growing fetus. However, it is important to keep up with the latest information regarding letrozole. The 61st Annual American Society for Reproductive Medicine (ASRM) report contains the results of several trials for drugs that stimulate ovulation for treatment of infertility. Letrozole was used in several of the studies. The one that raised the most concern was the study reported by Biljan MM, Hemmings R, Brassard N, et al. entitled The outcome of 150 babies following treatment with letrozole or letrozole and gonadotropins. In this study, the results found that 4.7 percent of the newborns who were treated with letrozole had locomotive, bone, and cardiac malformations compared to only 1.8 percent of those in the control group. The initial study raised several concerns about letrozole and fertility and suggested that further investigation should be done. In 2007, the Journal of Obstetrics and Gynecology Canada, the main publication of the Society of Obstetricians and Gynecologists of Canada (SOJC), reported a follow-up study that was done in response to the 2005 ASRM conference report on letrozole and pregnancy. This study, entitled Fetal Safety of Letrozole and Clomiphene Citrate for Ovulation Induction, set about to correct some faulty methodology used in the 2005 study. This study found that the incidences of birth problems were quite similar among the control, letrozole, and clomiphene citrate groups. Additionally, it was found that letrozole baby group had a higher birth weight than the clomiphene citrate group. This finding presents the idea that birth weight may be lower for babies who were conceived with the use of Clomid, but not for letrozole. The conclusion reached by the authors is that "The use of letrozole for ovulation induction does not appear to increase the risk of congenital malformations and does not affect birth weight." A report in the March 2008 Canadian College Family Physicians indicates that what prompted the FDA warnings and classification were studies done on animals that resulted in birth defects. The report notes that while there are valid concerns regarding dosage during actual pregnancy, its use in inducing ovulation should not result in defects. The drug's half-life means it should be eliminated from the body before conception. Check with your doctor to be sure recommendations have not changed as new studies are reported. Letrozole has recently been shown to have promising results when used to treat fertility problems due to ovulation. Any complications resulting from the use seem to be statistically similar to problems of those who did not take letrozole or who took Clomid. Cancer patients seeking fertility treatment or the drug Femara as a cancer treatment should discuss letrozole with their doctor. 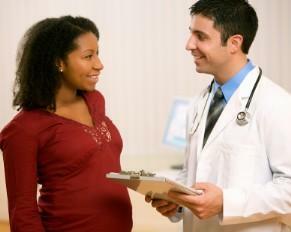 There is a risk of birth defects if used by moms who are already pregnant.